In 1977 the Tamil United Liberation Front (TULF) won a landslide in the Tamil areas with 18 seats and become the main opposition party, the first Tamil party to do so. This was the background to a major defeat for the Lanka Sama Samaja Party (LSSP), a key left party that once had mass support. That year’s election also brought a key victory for the United National Party (UNP), which began its onslaught on the country’s hard-won labour laws and social conditions. What was the reason for the defeat of the once very popular LSSP? It was not because it was ‘too left’, but not left enough. Despite much heroism of members and taking many correct positions in its history, the LSSP had made major mistakes. Chief among them was collaboration with Sirima Bandaranaike’s government which represented deviation from the principles that had allowed the LSSP to develop as a mass force. This led to widespread rebellion among the party’s supporters. 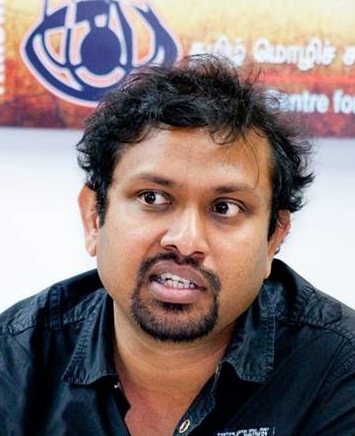 Organisations that put forward a critique of this mistake, such as the Nava Sama Samaja Party (NSSP) and the JVP then emerged as a strong force. Among the Tamils the discontent that developed at that time was manifested partly as Tamil nationalism and partly as class antagonism against the ruling southern parties. A manifesto published for the 1977 election by the TULF stated that it “seeks in the general election the mandate of Tamil nation to establish an independent sovereign secular socialist state of Tamil Eelam”. But Amirthalingam who become a leader of the opposition, then was ineffective, both in articulating the class antagonism and the national aspirations of the Tamil youth. When the current TNA leaders claim they are making “history” following the appointment of Sambanthan as leader of opposition, let’s first remind ourselves of how history is made and what followed these events. Unfortunately the wind is not in the TNA’s favour today. The UNP leader, JR Jeyewardene (JRJ), led a government that went on the offensive against the entire population of Sri Lanka, established a dictatorial executive presidency, spearheaded the privatisation binge, created the public service act which effectively outlawed strikes in the government sector, and more. What did the TULF do? They remained by and large as a sidekick to the right-wing UNP, which remains to this day a “natural home” for the Tamil elite and big business. Even when draconian laws such as the prevention of terrorism act was introduced, the TULF did not act to oppose it in the parliament. Students of history must learn about the role they played during the 1980 general strike in which JRJ managed to break the backbone of the Sri Lankan working class. Despite certain faults, the working class organisations – unions and left parties that existed at the time – together opposed the pogroms against Tamils and at times acted as a barrier to prevent the ethnic clash which was consciously and vehemently promoted by almost all the right wing forces. A “lumpen” culture, created by the JRJ clique, eventually overwhelmed all these forces and unleased chauvinism against all the minorities, resulting in the 1983 pogroms and the long war that followed. Today the TNA is definitely a different organism to that of TULF then and the conditions and world relations are different. However the parallel, particularly in terms of character of the leadership, are strikingly similar. While they raise hope and are currently winning mass support with some popular promises, they are “betraying” the aspirations of the Tamil youth and most oppressed sections. Even if they manage to draft some sort of “Sambanthan-Ranil pact” to calm the mood, it will eventually also fail if it doesn’t address the Tamils’ burning desire to better their conditions that is manifested at this stage through nationalism. If the TNA plays side fiddle to the UNP-led neoliberal policies, like in the past, it will add strength to the Sinhala nationalist sentiments against the Tamils – through which Rajapaksa’s family or the likes of them are hoping to find a route to re-emerge. 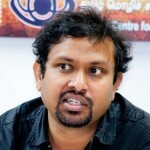 Sambanthan should not repeat the history of the old TULF leaders who supported the offensive against the Sinhala masses in the parliament and restricted themselves to the so-called ‘Tamil concerns’ – while working in reality to water down all the demands that youth were putting forward. It should be the other way around. Every law, every initiative taken by the current parliament against the workers and oppressed in general must be opposed strongly while advancing the demands of all minorities in an uncompromising way. But every sign indicates that Sambanthan and Sumanthiran are not prepared to do so (leave aside Mavai who has no clue of internal or international politics). 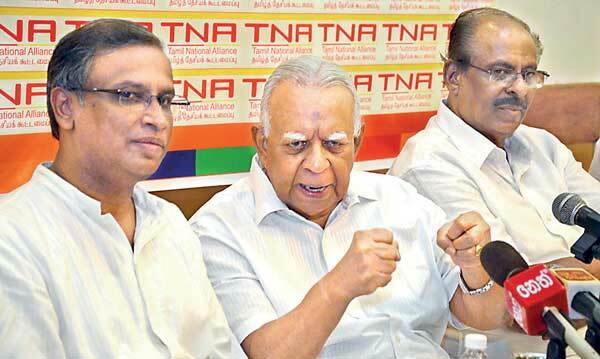 But once again the fate of Tamils and their aspirations will not be sealed with the TNA leaders alone. It will find various expression including mass organisational expressions. I am not talking about the Gajendrakumar kind, where ground work is substituted for obtaining a ‘respectable’ position among the diaspora. But an organisation with a much more radical perspective which aims to attract the mass of youth and the oppressed sections to its ranks. This may sound like something utopian to those who have benefitted from the old orders, including the so-called left commentators. Some of them are crying out in their own way by employing various “ingenious” arguments – mainly to maintain their cosy positions.The fast-developing new world relations may pass over them. Some of them, who might wear the mantel of ‘progressive’ politics, enjoyed comfort with now defunct or nearly so social democracy parties. The process of social democracy becoming full blown bourgeois parties has fast tracked since the beginning of the world economic crisis. It is vital to note what is fuelling these changes. A surge of struggle from below is what’s shaping politics, not just in Greece and Spain but across the world. It is this phenomenon from below that has elevated “dinosaur” lefty Jeremy Corbyn into the mainstream in Britain. Young people drawn to the idea that an alternative to austerity can be fought for have indicated an openness to socialism and to theory and ideas. This is in contrast to many established ‘lefts’. In a recent article, under the guise of musing on the propensity of lefty youth to move right with age, Owen Jones attacked the organised left – Trotskyists in particular. He described Sri Lanka as one of an “eclectic collection” of countries where Trotskyists once had a mass base. The major revelation in the article was Owen’s ignorance of the history of Sri Lanka or the history of Trotskyism and its legacy. Certainly he could add many from Sri Lanka’s left history to his list of Trotskyist betrayers, the latest being Vasudeva Nanayakara. But this black list does not help to explain how the masses were able to win huge concessions – that Trotskyist ideas in action made a real material difference to millions of lives – and still do. In contrast to many nations in South Asia, Sri Lanka retains the gains from the Trotskyist influence – free education, health, etc. This needs to be said loud and clear, particularly in the context of recent developments in Britain where political debate is taking place around Jeremy Corbyn’s leadership, in such a way that not seen for generations. The main antagonists in this debate, even according to the right wing media, is Militant – the forerunner of the Socialist Party, the major left-wing party in Britain. Unknown to Owen and the Owenites, the spectre of the Militant tradition is not only still haunting Labour in Britain, but it can also be found in Sri Lanka. It was the collaborators of Militant in Sri Lanka who maintained the Marxist traditions of opposing war, the devastations it caused, etc, thus becoming a reference point for the future struggle to develop. But Owen’s narrow vision hovers on the “right-wing firebrands” not the working class fighters who changed their lives through building mass struggle. This history of struggle in Sri Lanka will be the foundation of new struggle and new organisations. Supporters of the UNP and the TNA leaders like Mavai give the impression that history ended with the last election. The unanimous turn to the ballot by Tamils and other minorities to oppose the dictatorial MR regime, and the desire expressed by all to bring about good changes in Maithri’s election – is still at large. The tensions, aspirations, class antagonisms that manifested in the reason past are far from resolved. Instead the UNP could aggravate them. Improved living conditions have not been delivered to to the oppressed Sinhala masses as promised following the end of war. This eventually sealed their fate and saw them kicked out of power. It’s time for the TNA to deliver on its promises – failing to do so will seal their fate too. From this point of view there is not much political difference between the Mahinda and Sambanthan “leaderships”. Owen who defended Ed Miliband and his “slow cuts” on services while dismissing all out anti-cuts campaigners – almost in the same terminology as the arch right winger Tony Blair – is now forced to sing “Bandiera rossa la trionferà. Soltanto il socialismo è vera libertà” on public stage along with Jeremy Corbyn! If it can happen in Britain, shouldn’t we expect seachanges everywhere?